What Is Salaat, Namaz (Prayer)? The spiritual ascent of the faithful believer. The nourishment of the soul. A bestower of Allah's proximity and His favour. After proper acceptance of faith and its inherent beliefs, i.e. the recitation of the Pure Words (Kalemah Tayyebah), the most important duty is that of offering the Prayer. The Holy Prophet (peace and blessings be upon him) has stated: "The first duty that Allah, the Supreme, has ordained upon my nation is that of offering Prayer, and indeed Prayer is the first thing that will be taken account of on the Day of Resurrection." It is also reported in the Hadith that, "Whoever keeps the Prayer established, has kept his religion established - and whoever leaves Prayer has demolished religion". 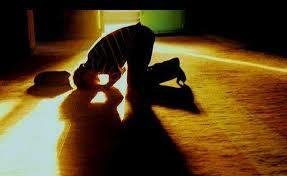 Regrettably, the Muslims of this age have forgotten Prayer. Most people simply do not have the time for it, whereas some people do offer their Prayers but do not know the proper way of offering it. It is imperative to learn the correct way of offering the Prayer, and to offer all the 5 Obligatory Prayers with the congregation. This concise book attempts to highlight the importance, excellence, mode and rules of Prayer from the Holy Qur'an, Hadith, books of Hanafi Jurisprudence, Fatawa Razvia and Bahaare Shariat. May Allah grant all Muslims the guidance to seek religious knowledge and to act upon it - Aameen (and through the supplications of the Holy Prophet - peace and blessings be upon him).